Solve your biggest identity challenges! Oracle Identity Governance gives you a purposeful solution for these governance challenges. It provides a unique focus in Identity Governance by combining access grants and access monitoring. How can you ever handle this directly, agile and even partially automated? All enterprises are familiar with highly privileged administrator accounts which can do enormous harm to even their most sensitive systems and applications. The number of privileged accounts is increasing with the addition of every server, device or application to manage. To address this challenge a privileged account manager is included in the Oracle Identity Governance Suite. It enables the separation of privileges, self-service requests to privileged accounts and provides password auditing and reporting. The privileged account manager can for example manage your credential store, policy store, wallet, authentication, authorization, and audit application programming interfaces. Role lifecycle management begins with the definition of roles. 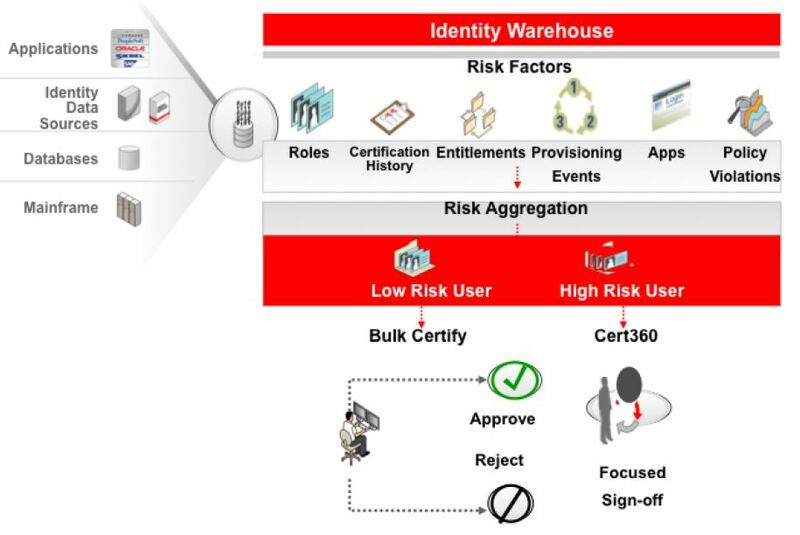 Oracle Identity Governance Suite offers a unique combination of tools to define enterprise roles while achieving a role governance process. Role discovery is a comprehensive set of market leading tools of role mining and analytics that utilize the discovery of roles in an enterprise environment. A well known fact for many enterprises is that most of the computer-related criminal activity is a result of activities performed by insiders. Fraud detection is one of the most important topics in identity and access management for today’s enterprises. Therefore it is very important to implement a solution to prevent such illegal activities. IT Audit monitoring helps with identifying conflicting and violating roles, privileges and entitlements for a single user.